Web Pages, MVC (Model View Controller), and Web Forms. Often model objects retrieve data (and store data) from a database. The View is the parts of the application that handles the display of the data. 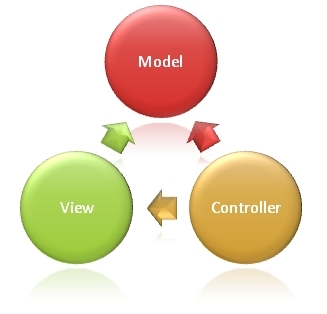 The MVC programming model is a lighter alternative to traditional ASP.NET (Web Forms). It is a lightweight, highly testable framework, integrated with all existing ASP.NET features, such as Master Pages, Security, and Authentication. Visual Studio Express is a free version of Microsoft Visual Studio. Visual Studio Express is a development tool tailor made for MVC (and Web Forms). If you install Visual Studio Express, you will get more benefits from this tutorial. After you have installed Visual Studio Express the first time, it pays to run the installation one more time, to install fixes and service packs. Just click on the link once more. At the end of this tutorial you will find a complete ASP.NET MVC reference.